Very fast growing tree. Doesn't spread out too much and grows more tall than out. 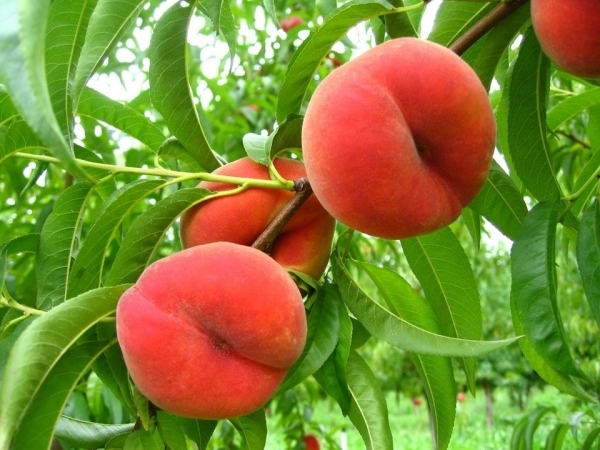 Also doesn't lose its leaves in winter like my other stone fruit. It stays nice and green and lush. I just have to beat the geese to the fruit this year so I can review the taste. Fertiliser or Organics Used: Seasol, Thrive, goose effluent. Fruit fly traps seem to work very well. I thought I had lost the tree during winter, but it's still going. Try not to use anything chemical. 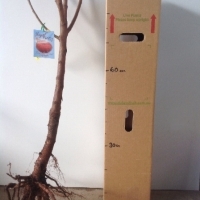 High chill 'flat' peach tree well suited to our environment.